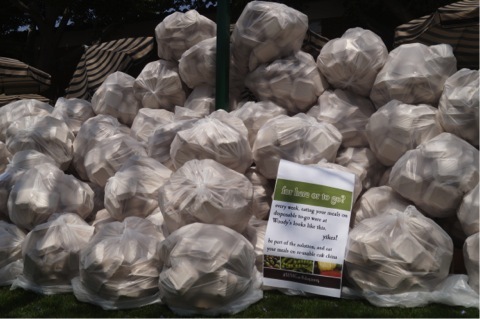 Woodbury University invited all students and faculty to participate, enjoy, and learn more about Sustainability project while celebrating Earth Day on campus. 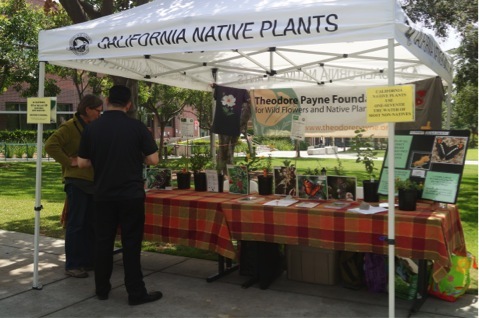 The events held on campus included Sustainable landscaping, DWP presentations, native flora planting, film marathon, local food, art exhibitions, repurposed garments from Fashion and more! The highlights of the day included students learning all about their footprint around campus with visual display of a fraction of “to go” boxes used and trashed. This was designed to illustrate the unsustainable practice of using “to go” boxes instead of reusable ceramic food plates while eating on campus. Experts presented useful and interesting information regarding native plants and sustainable recycling of water, all practices in affect or future plans for our campus at Woodbury. The even was an over all success and sparked the interest of students. Participants were satisfied with all the informative, creative, and interesting displays and events offered on campus for Earth Day celebration. Check out the flipbook below made in honor of Earth Day at Woodbury!